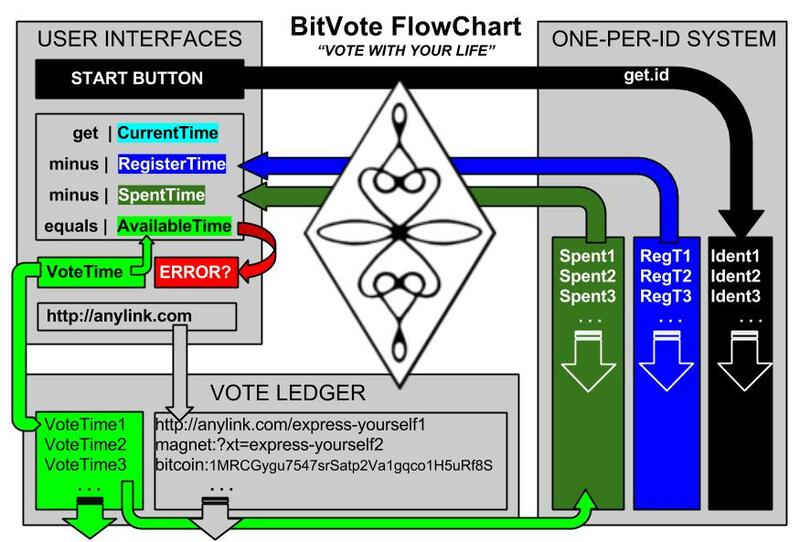 BitVote is a self-developing digital ecosystem powered by the VoteChain protocol that enables people to interpret and express themselves in measurable and comparable ways by providing codified units that represent actual minutes of their real life on earth which can be linked to bring any idea to life in a way that is impossible to dismiss. 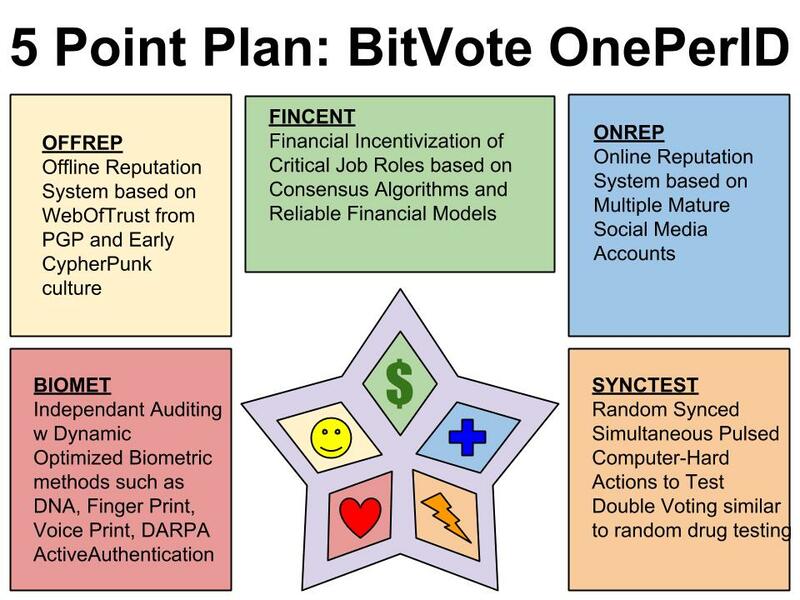 BitVote will protect Ethereum - as well as the entire Internet - from Social and Political Attacks by empowering people with a revolutionary yet deceptively simple mechanism to systematically allocate human resources towards the problem solving tactics best proven to work for maximum efficiency of social reform. Aaron Bale (@arkbg1) created BitVote in 2012 during the SOPA Blackout with support from Aaron Swartz (@aaronsw), Sven Swootleg (@joepie91) and Leah Chase (@leahxpearl). In 2014, Aaron began collaborating with Jasper den Ouden (@o-jasper), Vlad Zamfir (@vladzamfir), Ethan Buchman (@ebuchman), Stephan Tual (@stephantual) and Vitalik Buterin (@vbuterin) of Ethereum. The project has been developing for over two years through the teamwork of an amoeba of programers, activists, lawyers, advocates, politicians, artists and citizens around the world. All the developers have one thing in common: a desire to have the voice of the people heard and heeded.